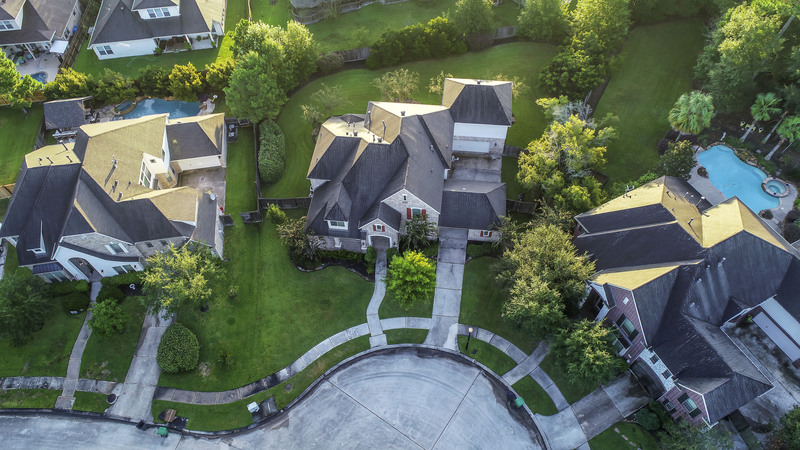 This home is zoned to award winning schools such as Kaufman Elementary, Vogel Middle School, Irons Junior High, and Oak Ridge High School. Find more school information HERE. 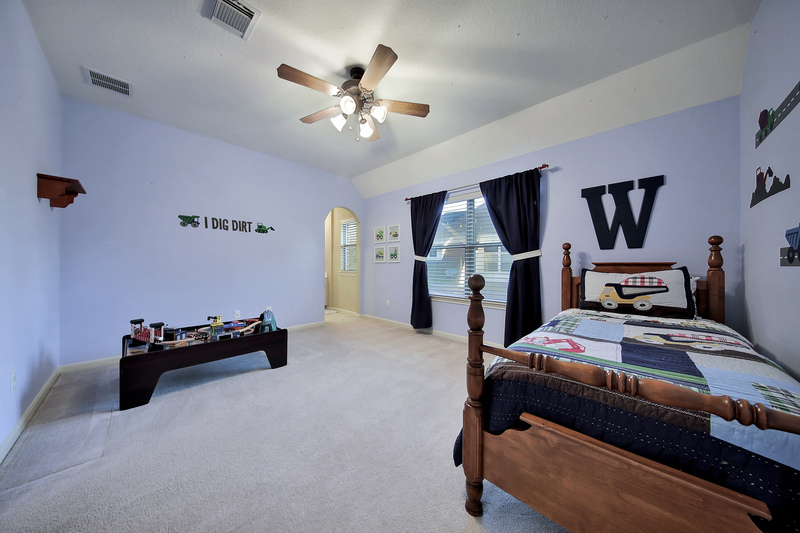 This home is within walking distance to Kaufman Elementary. 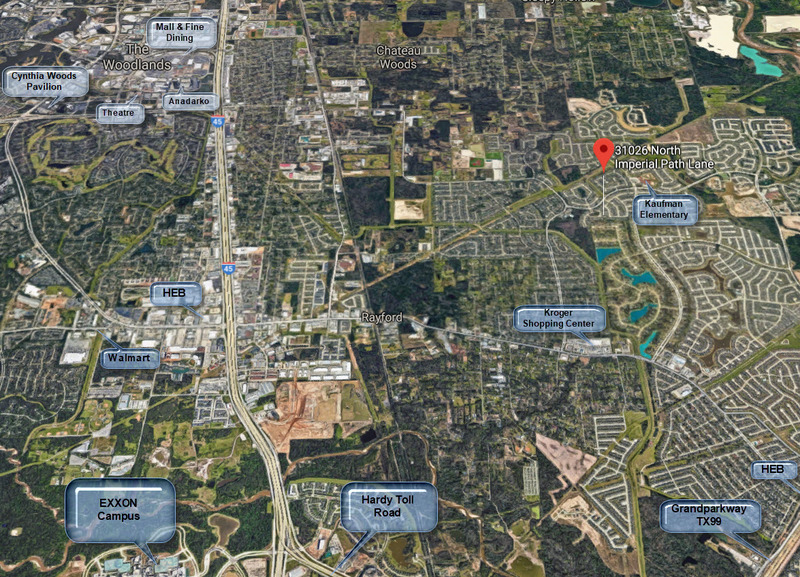 31026 S Imperial Path Ln, Spring, TX 77386 is conveniently located near I-45, The Grand Parkway/99 and The Woodlands. 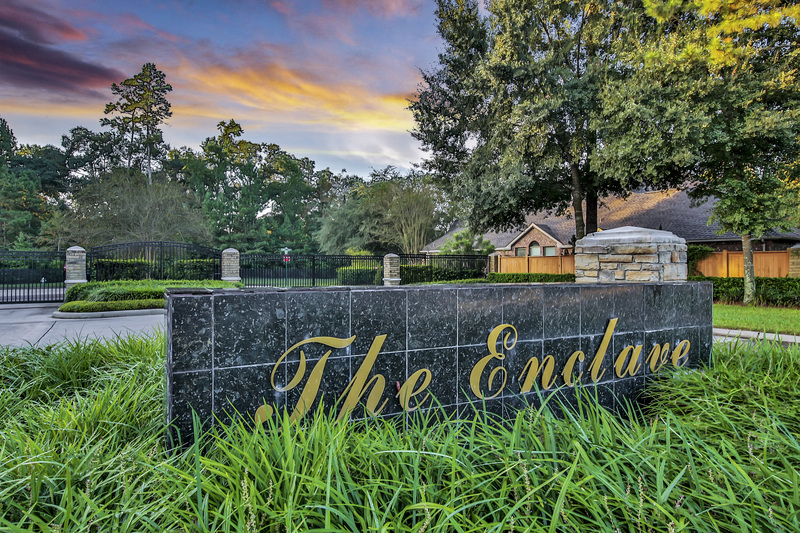 Come in and out of the neighborhood through multiple routes for easy access to The Woodlands Market Street and Downtown Houston, including the Grand Parkway. 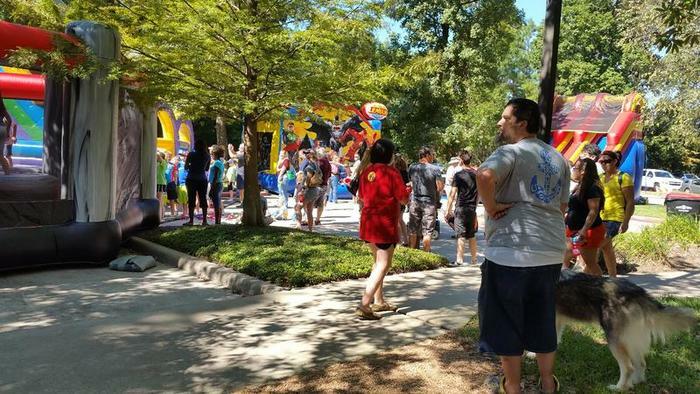 A short drive to The Woodlands Mall, Cynthia Woods Mitchell Pavilion, EXXON & Anadarko. 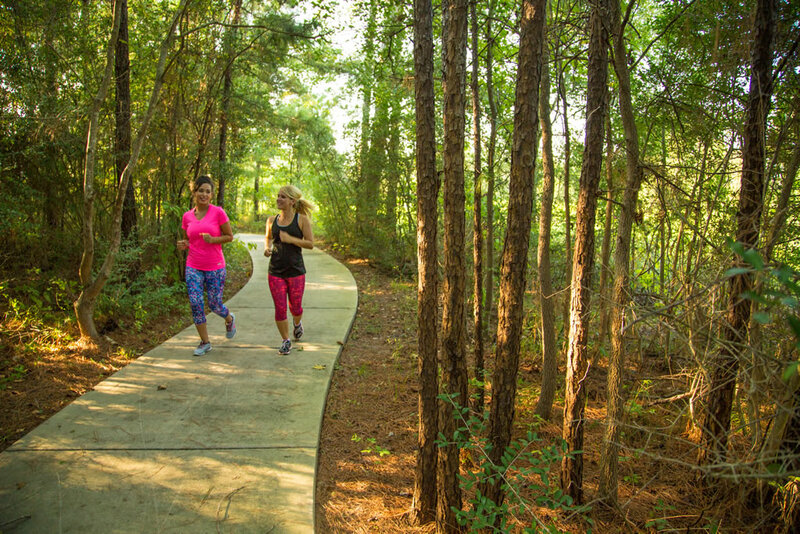 You will enjoy the convenience of shopping and dining close at hand, just minutes away from the future YMCA, shopping and dining at Crust Pizza, Theiss Farmer’s Market, Starbucks and Tutti Frutti Frozen Yogurt. Talk about convenience as you have the choice to do your grocery shopping at two different Kroger’s, HEB or Walmart, each just minutes away! Back Yard Paradise! 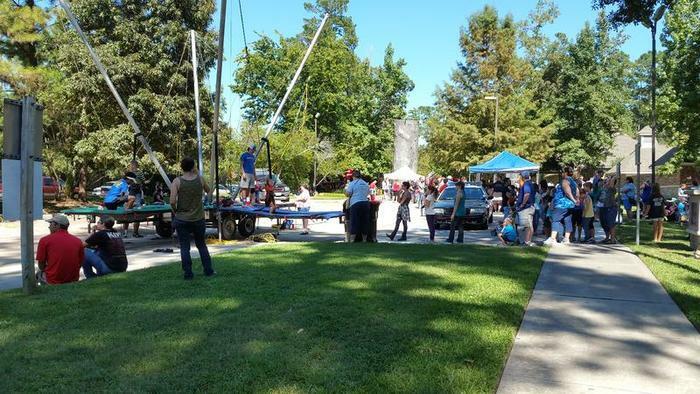 Entertainer's dream! Custom heated pool with walk in entry, hot tub, swim up table and more! Smart pool with remote control/app for lights and temp. Outdoor speaker system. 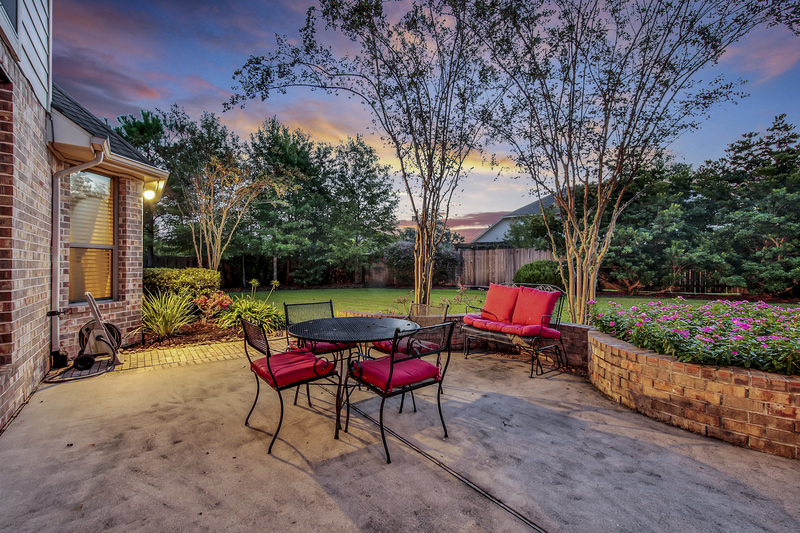 Fully appointed outdoor covered kitchen built in 2013 includes granite counter tops, grill, and small refrigerator. 5 bedrooms with an optional 6th bedroom make this home perfect for large families and out of town guests. Fresh paint and flooring throughout. Major updates make for years of maintenance free living: Both A/C 2015, Roof 2012, hot water heater 2014, Sprinkler system replaced 2013, Gas fireplace rebuilt in 2013, all kitchen appliances replaced in 2013 - including oversized French door refrigerator which stays! This house stayed high and dry for Harvey and is ready for any storm with oversized gutters and is pre-plumbed for a natural gas whole house generator. Detached oversized garage is perfect for car lovers. 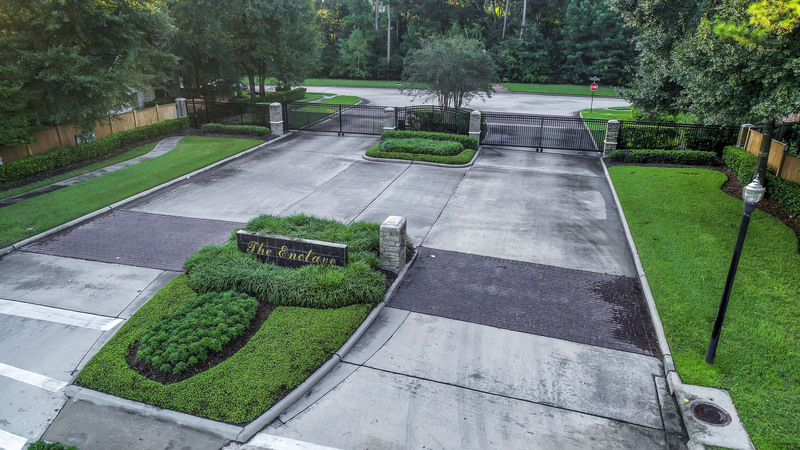 Estates section of Imperial Oaks with one entrance - no through traffic! Like new! Beautiful energy-efficient 2-story home. Stunning Crimson plan/Meritage Homes. 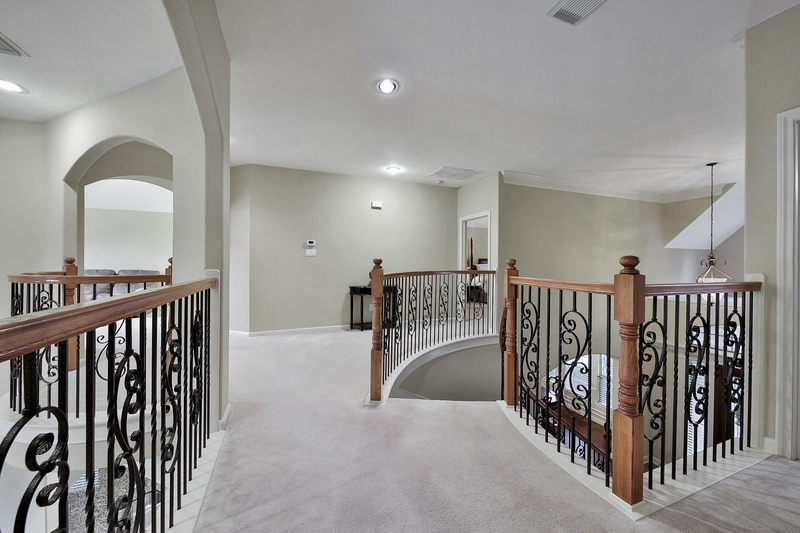 Grand 2-story foyer. Study/optional 2nd downstairs bedroom off foyer w/ adjacent full bath. 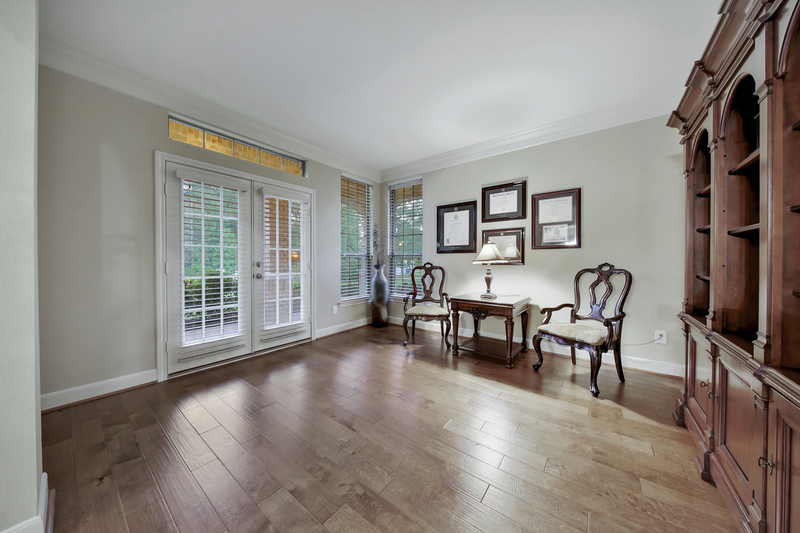 Beautiful dark wood floors in all living areas downstairs. Soaring ceilings in the large family room open to kitchen & breakfasts area. Cabinets galore! 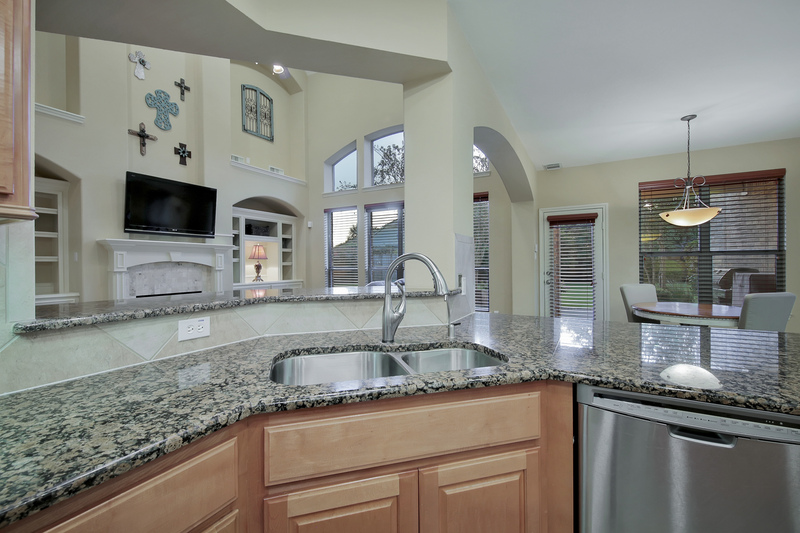 Granite counters including large breakfast bar island. Stainless steel appliances! Refrigerator stays! Large laundry room. 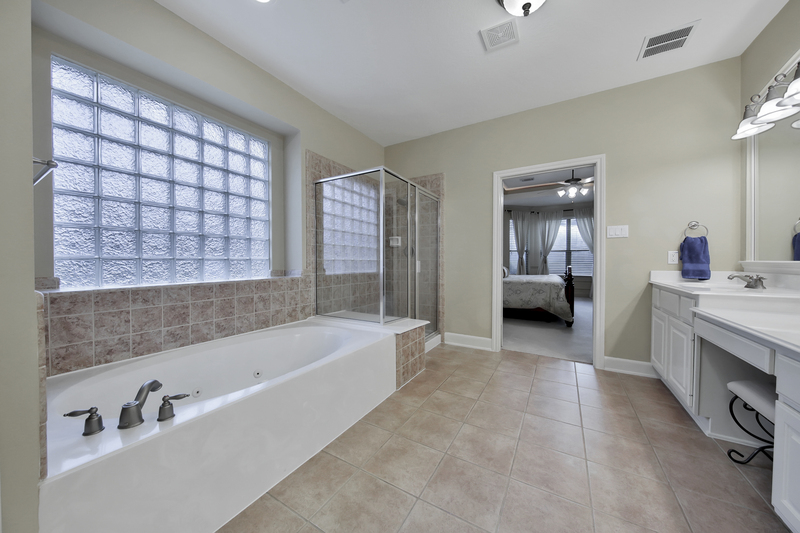 Spa-like master suite with bath including double sinks, separate tub & huge shower! 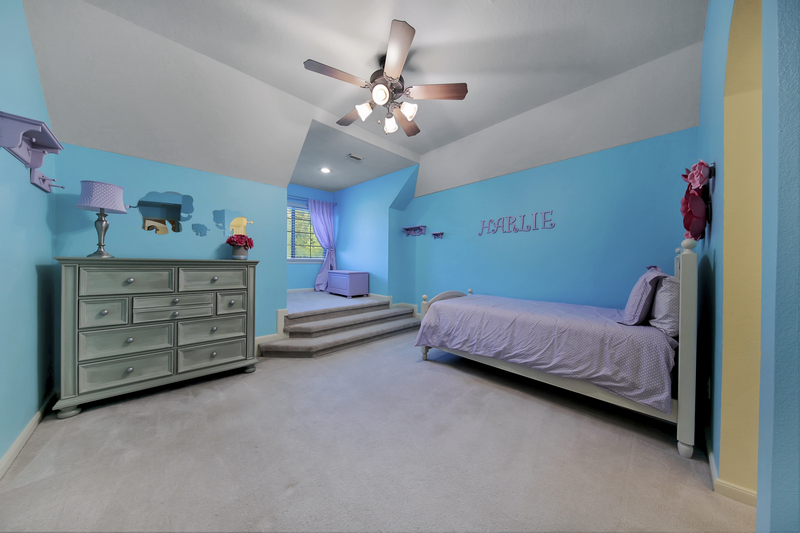 Upstairs includes 3 bedrooms, jack-n-jill bath plus full bath, media room & game room. Walk-in closets in every bedroom. Walk-in attic storage. Covered back patio w/large backyard ready for a pool! Covered front porch! Full-yard irrigation system. 3 car tandem garage. 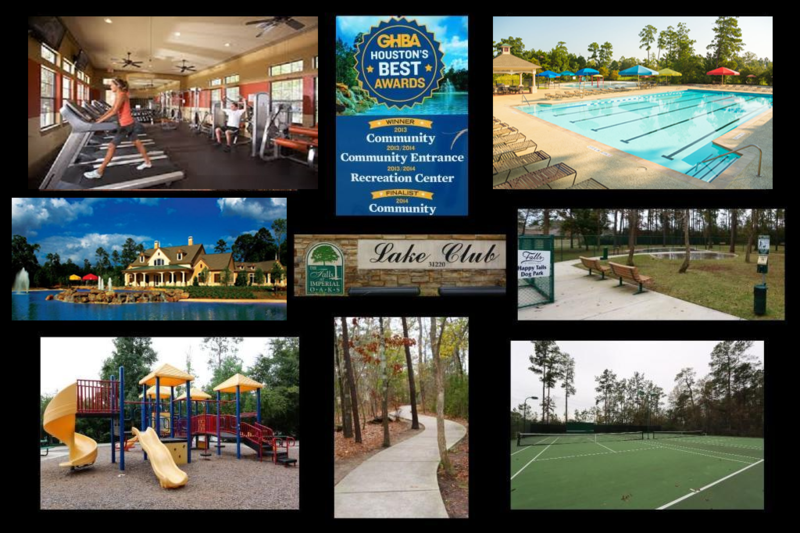 Master-planned community features modern club house, 24 hour access to gym, year-round access to lap pool and lazy river pool. 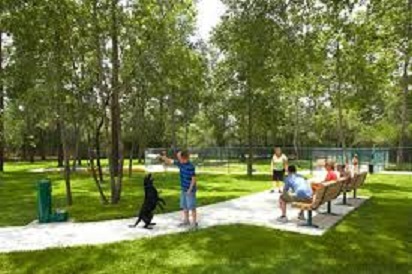 Playgrounds, stocked ponds, dog park, and new tennis courts! 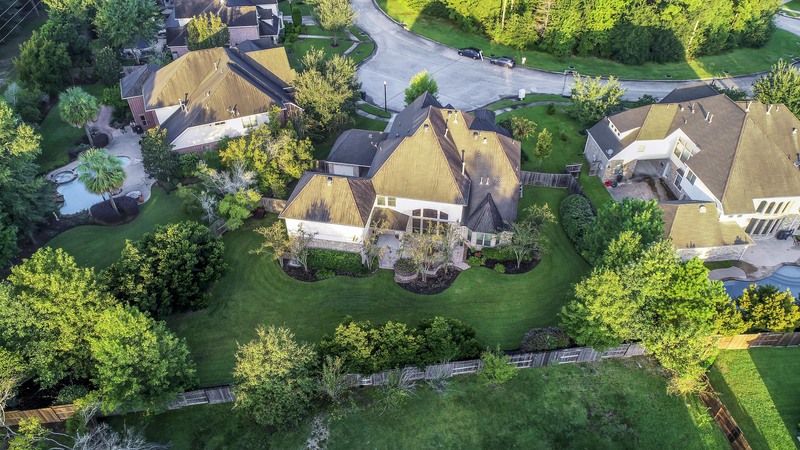 WOW,HONEY STOP THE CAR!Grand 4,434 SF, 5/6 bedroom, 3.5 bath Estate situated on sprawling 1 ACRE peaceful,private lakefront lot! $100k+ in upgrades,this home has it ALL!Custom-built island Kitchen w/ premium custom Cabinets,high-end granite,SS appliances,recessed lighting&desirable gas stove!Hardwood floors in main living,foyer,both formals&2 bedrooms up.Study downstairs could also be 6th bedroom w/ walk-in closet&built-ins!Gameroom,media room up w/ 4 additional,generous size bedrooms.$50k wrought iron,fully-fenced yard w/ automatic driveway gate for privacy.Some of the updates include new A/C,new carpet,new interior paint,recent exterior paint(2 years ago),oil-rubbed bronze hardware&fixtures,ceiling fans&front sprinkler system(back watered by septic).Vacay 365 days a year in the breathtaking back yard,mature trees&rear gate providing access to the lake for catch&release fishing!With a pool,you can create your very own tropical oasis! Excellent CISD & Grand Oaks H.S.! LOW 2.1 TAX RATE! Valencia plan by Westin Homes! Elegant brick/stone elevation with sparkling heated pool/spa and many energy features! Set on a huge lot with offset garage and soaring entrance. 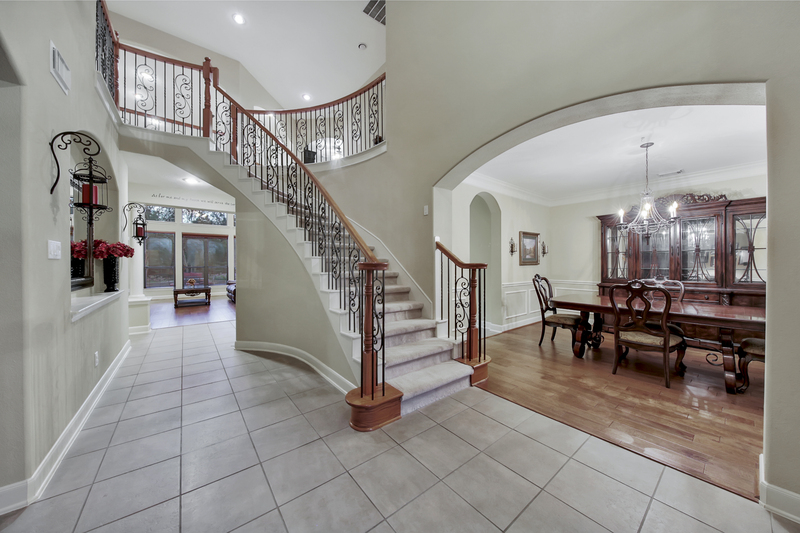 Sweeping staircase with wrought iron railing is a stunning focal point in the dramatic two story foyer with diagonally laid tile and curved landing/overlook. The living room is a showstopper with gas log fireplace surrounded by full length windows. Stately Roman columns, arched doorways and crown moulding are just a few of the many upgrades in this fabulous home which includes a private study with French doors and formal dining with chair rail. Gorgeous cook’s kitchen with island breakfast bar and sunny dining area, features deep toned cabinetry, tile backsplash and granite counters. 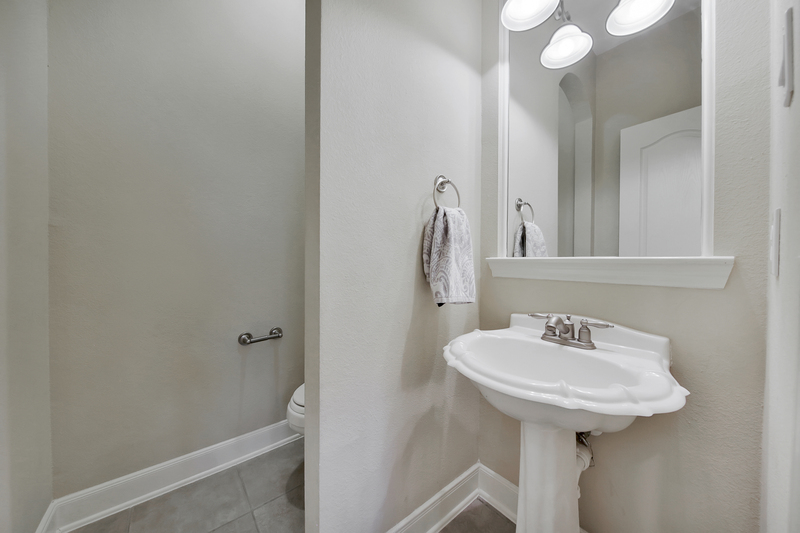 The luxurious Owner’s retreat features a deep corner Whirlpool tub, granite/glass shower and separate vanities. 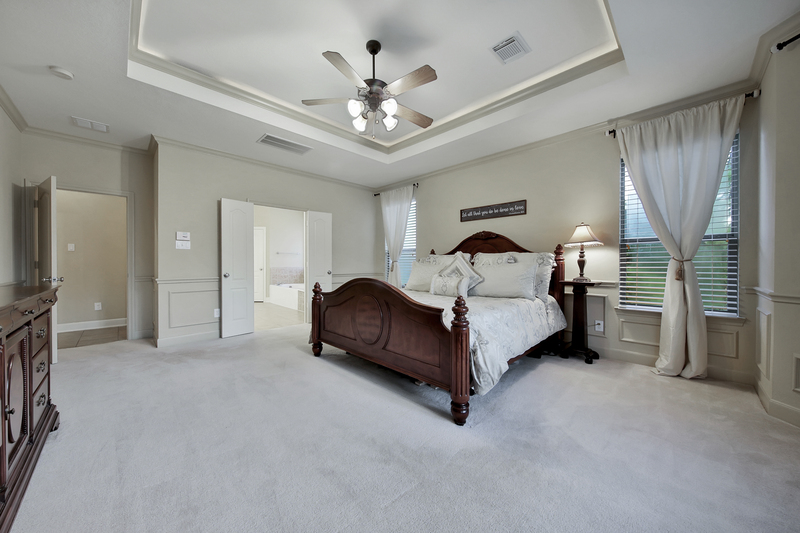 Entertain upstairs in the large gameroom or enjoy warm evenings on the covered patio or cozy gazebo with solar panels. 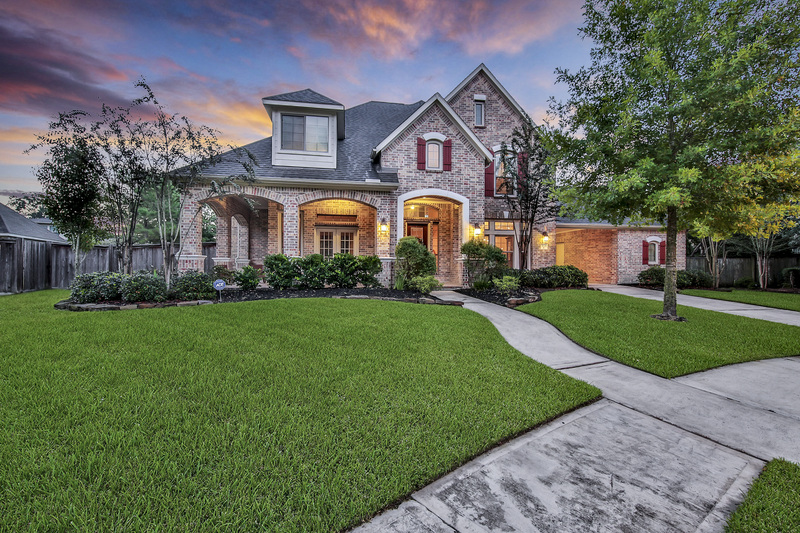 Stately 5-bedroom David Weekley with gorgeous updates in the popular Forest section of Imperial Oaks! 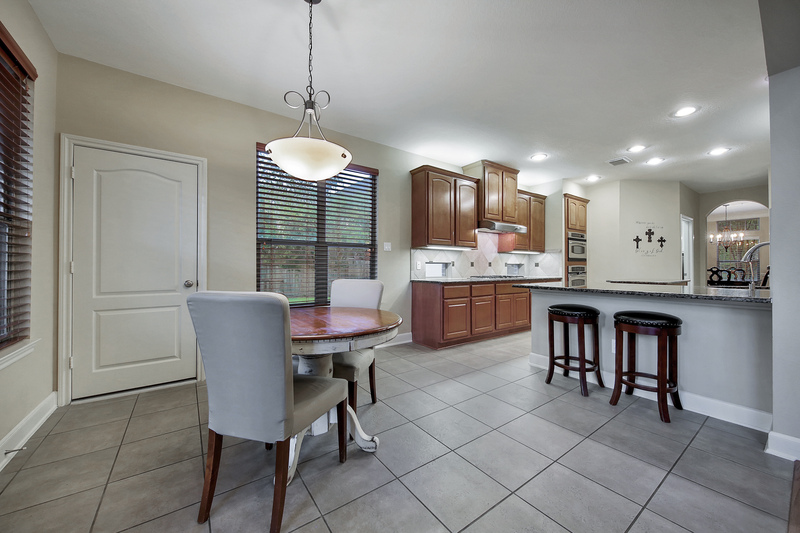 This lovely home features a white kitchen with high-end granite tops, wood-look tile throughout common areas, recent paint, recent carpet, updated tile in the bathrooms, water softening system, detached 3-car garage and more! 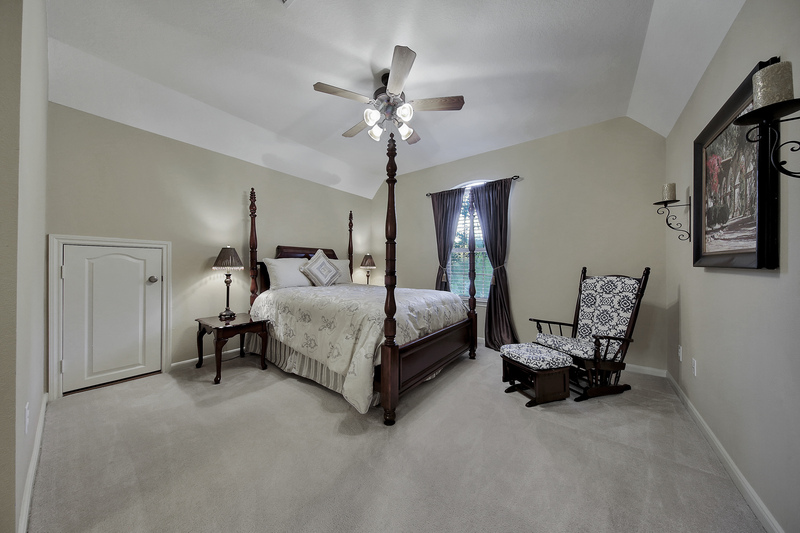 This versatile layout offers a large study, formal dining, powder room, and master suite all on the first floor. The freshly renovated kitchen opens to the inviting family room with an impressive refaced stacked stone fireplace. 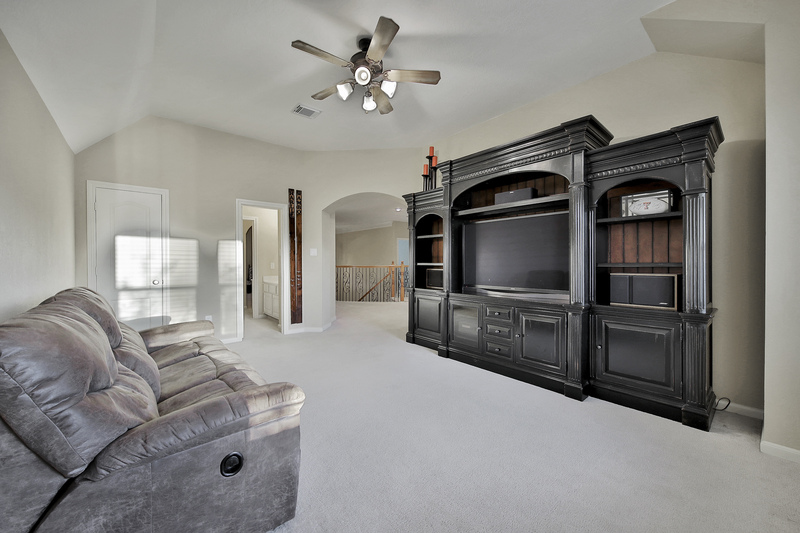 Upstairs you will find 4 spacious secondary bedrooms with large walk-in closets, a huge game room, and a media room space with large storage closet or optional 6th bedroom. 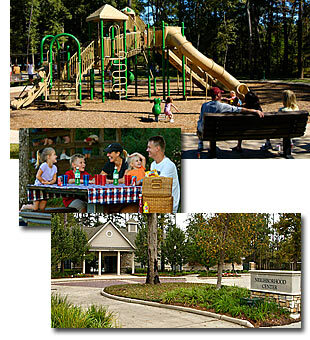 Residents in this section of Imperial Oaks love the mature trees, sidewalks, walking distance to top rated Kaufman elementary, and close proximity and convenience to The Woodlands, Grand Parkway, Hardy, I-45, major medical, and Exxon Campus. 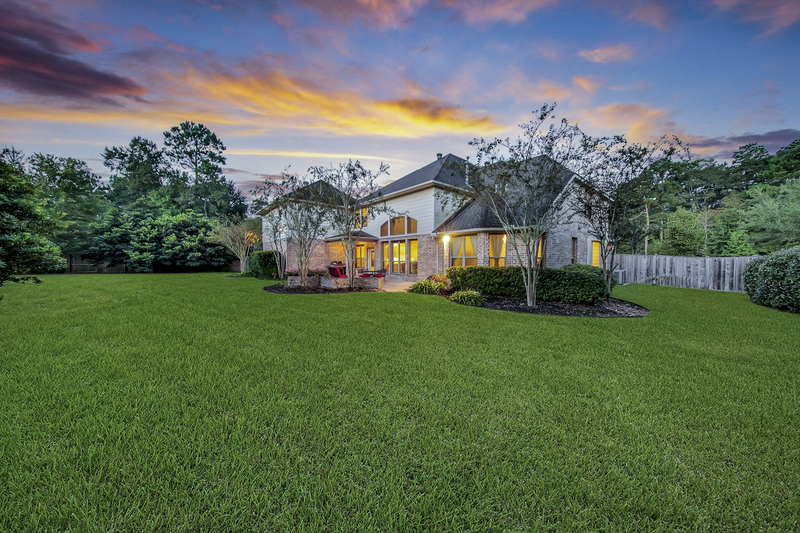 This gorgeous home in a gated enclave of highly desirable Spring Trails neighborhood is a MUST SEE for your list! 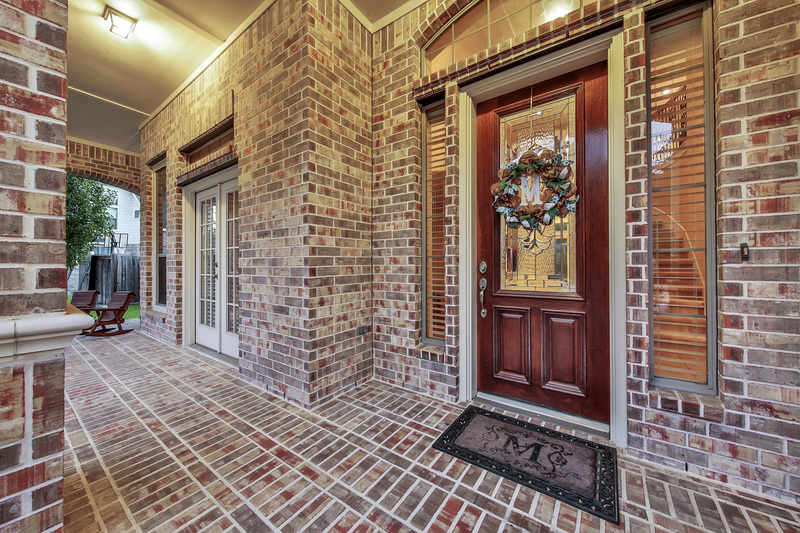 A grand front entry boasts soaring ceilings and beautiful sight lines throughout the home. The gourmet kitchen is a dream for your family chef. 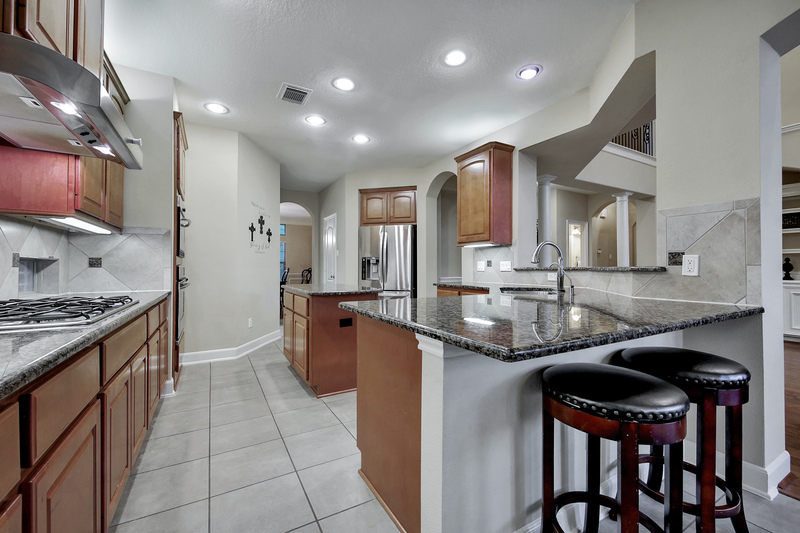 A large granite island and breakfast bar offer tons of prep and seating space. 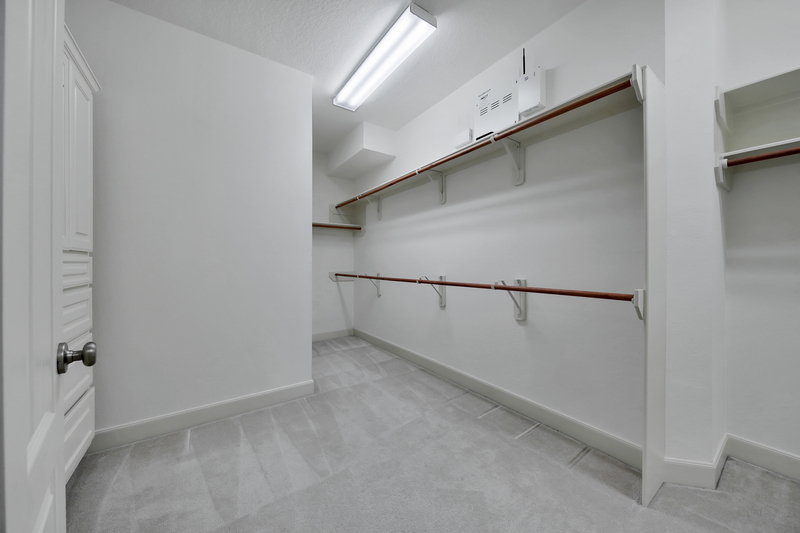 Loads of cabinets and a walk-in pantry offer tons of storage. 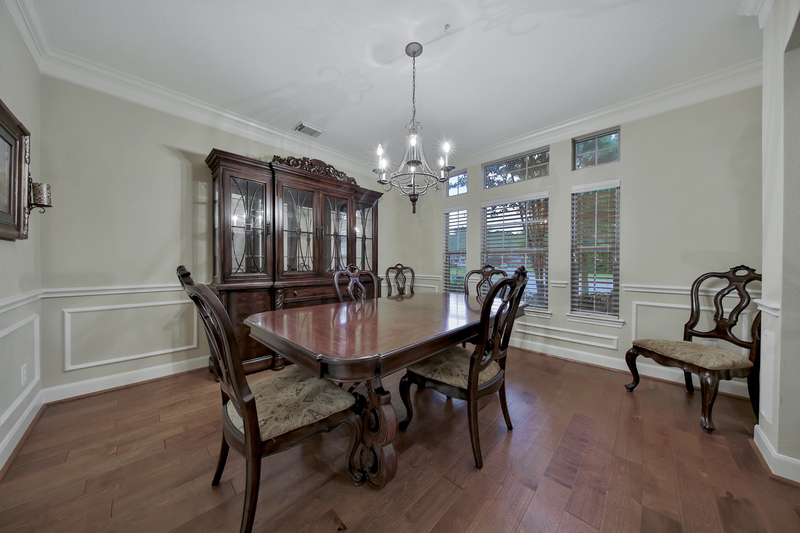 Open to the breakfast area and family room for seamless family living. The family room is spectacular with a wall of windows overlooking your sparkling pool & spa. 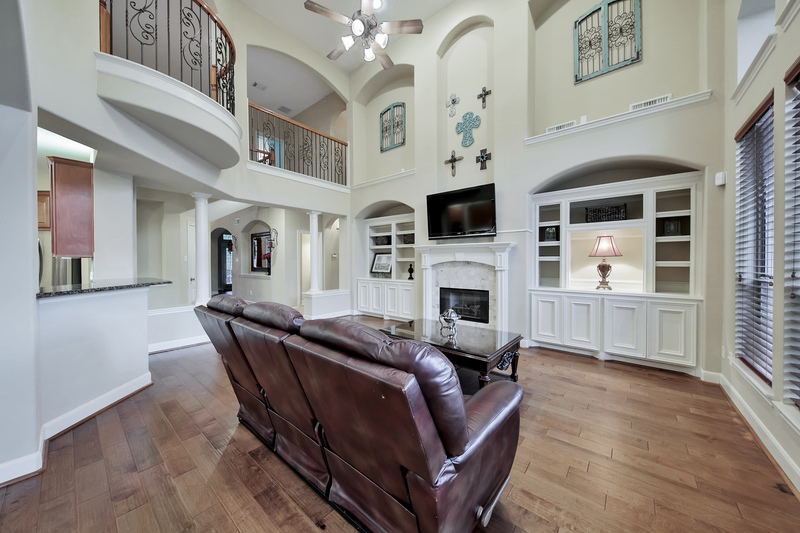 Light and bright this two-story family room is a wonderful place to spend time with your family. 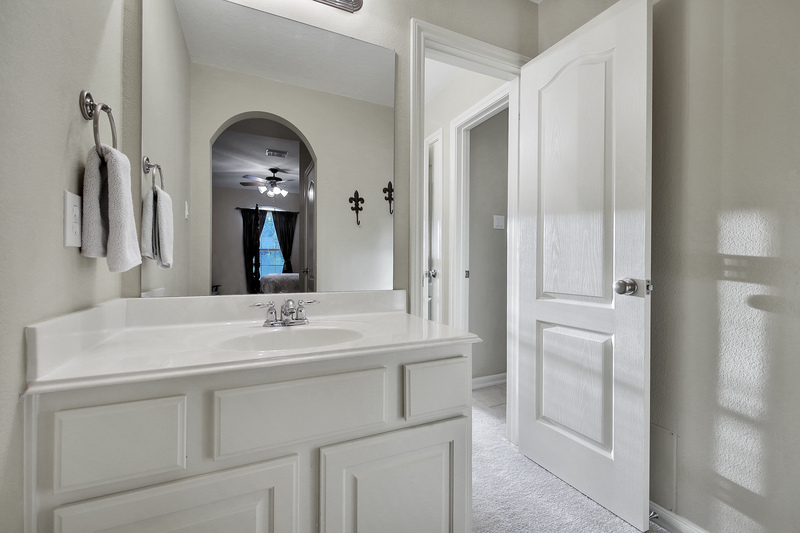 The owner's retreat is privately located at the back of the home with a luxurious bath and large walk-in closet. 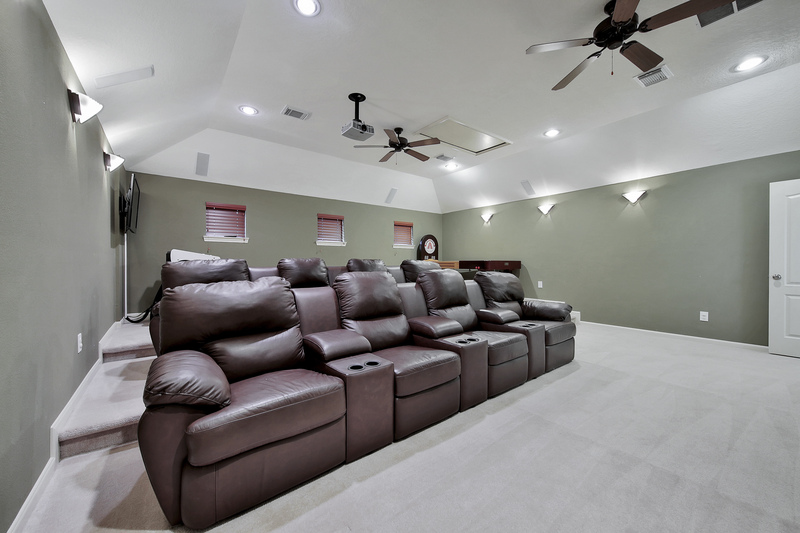 Upstairs the gameroom and media room are ready for family fun. Or take the party outside to the covered patio with a TV hookup. The pool & spa are ready for endless summer fun! Sprinkler system. 3 Car Tandem garage. Low taxes! BEAUTIFUL and STUNNING, this 5 bedroom 4 full bathroom home, sits on a large corner lot in a GUARD GATED SECTION of Harmony. An elegant array of features include, WOOD floors, GRANITE counters, Crown Molding, a magnificent STONE fireplace and an iron staircase to name a few. Never feel isolated in this centrally located kitchen allowing easy access to all entertaining and living areas. The Kitchens STAINLESS STEEL appliances are any cook's dream. 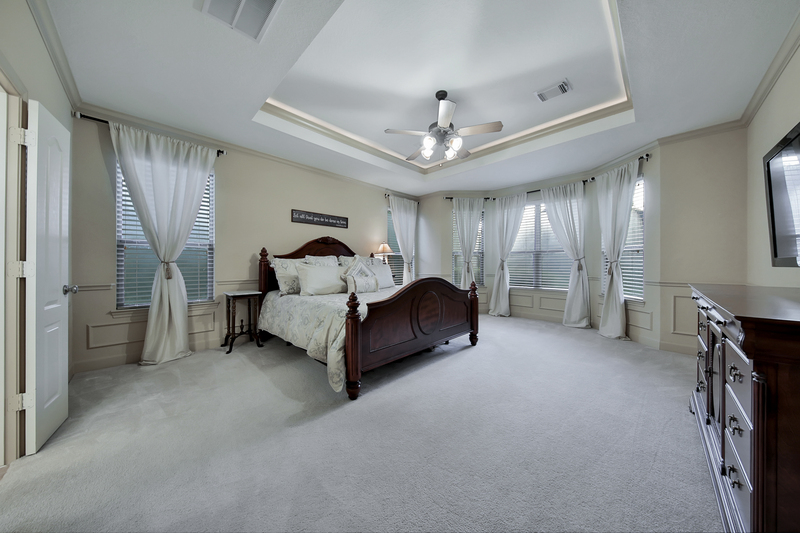 Relax in the master suite with plenty of natural light and an en suite bathroom with double sinks, separate soaker bath and large shower. 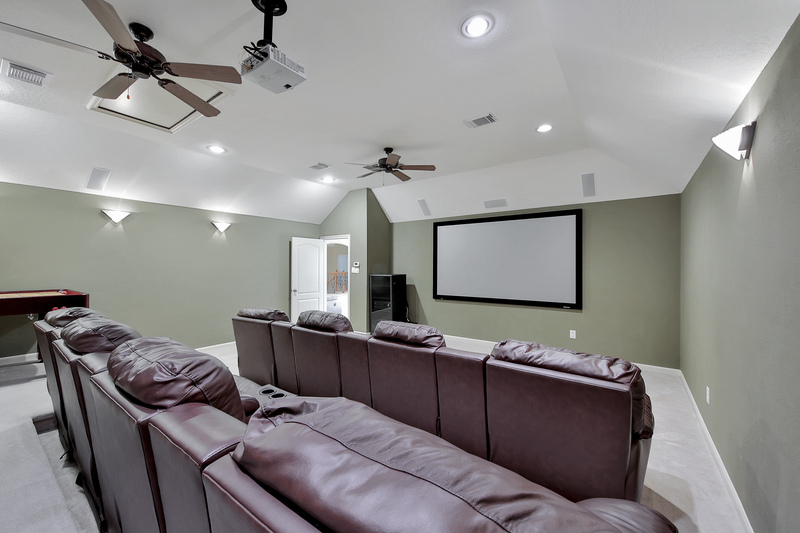 Enjoy movie night or every night in your very own MEDIA ROOM. This home is superbly located within easy walking distance to schools, pools, tennis, basketball courts, playgrounds and more. Shops and entrance to the new 99 tollway are within a few minutes drive. Drive 10 mins to The Woodlands/Exxon and 15 mins to the airport. Stunning 4 bedroom dream in sought after subdivision of Spring Trails with NO back neighbors! 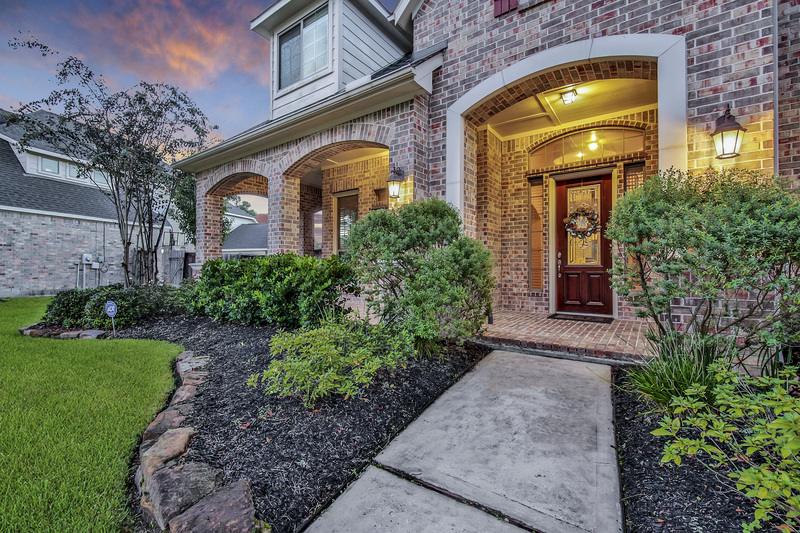 This gem has it all including 2 car garage, oversized fenced backyard with covered back porch and upstairs balcony both with fans to fight off the hot Texas Summers. Features include, pristine wood floors, crown molding, island kitchen with quality stainless steel appliances, trey ceilings and built-ins galore, granite countertops in kitchen and bathrooms, pre-done 5th bedroom decked and ready for drywall and flooring, huge gameroom upstairs with double french doors to balcony, media room, study/library, zoned to exemplary schools! 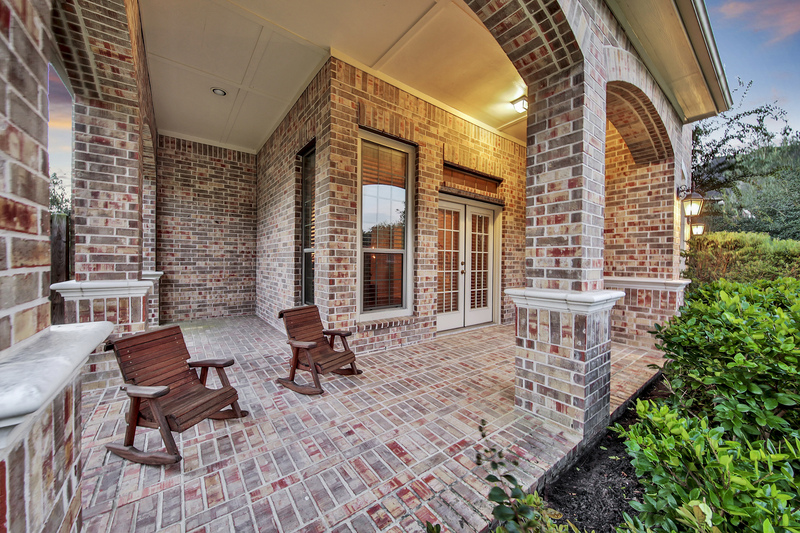 Call Spring Trails home today! This lovely one story home offers 4 bedrooms and 3 1/2 baths located on a half acre. Has a build out option in the attic-ideal for extra storage space or extra living area. Spacious study with built ins. 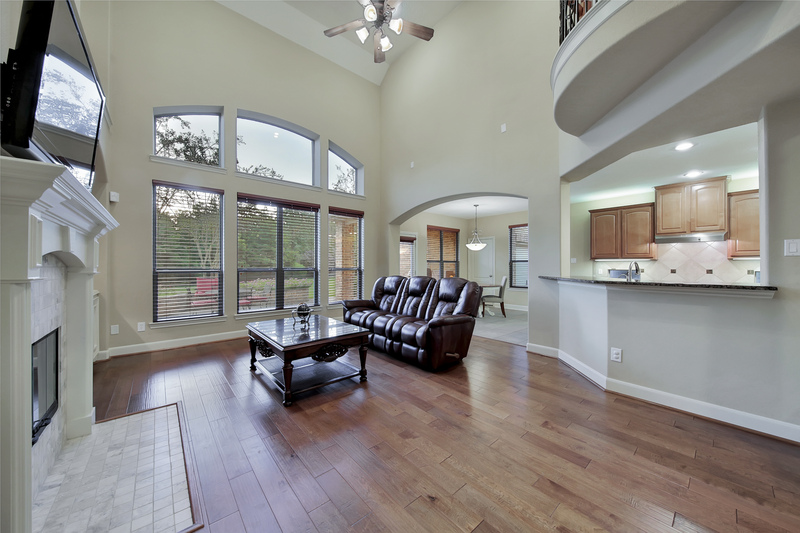 Open concept from the living room to the kitchen and breakfast area for entertaining family and friends. 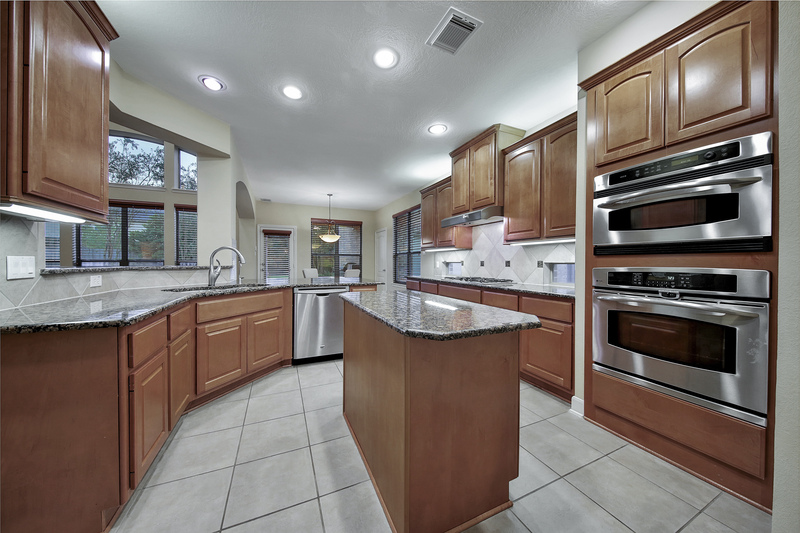 Kitchen has stainless steel appliances, granite counter tops, and tons of cabinet space. 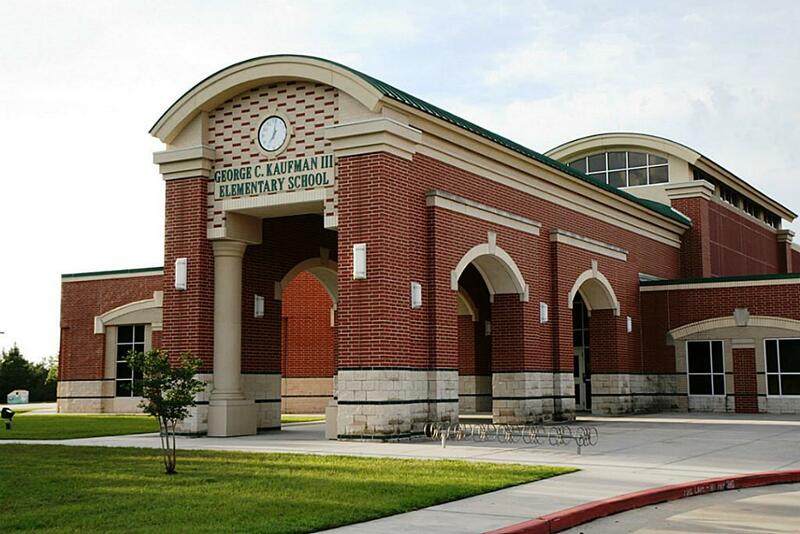 Zoned to top rank schools including the new Grand Oaks High School. 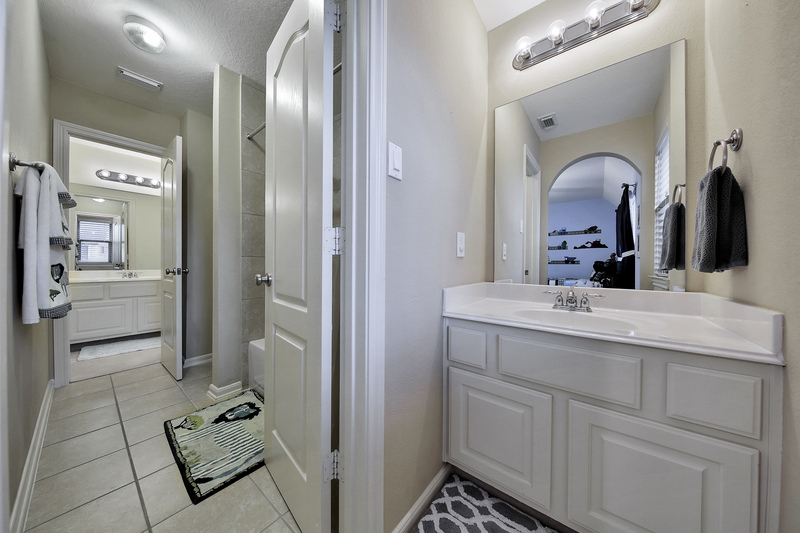 Convenient to Hardy Toll Rd, Grand Parkway and I-45. A must see! 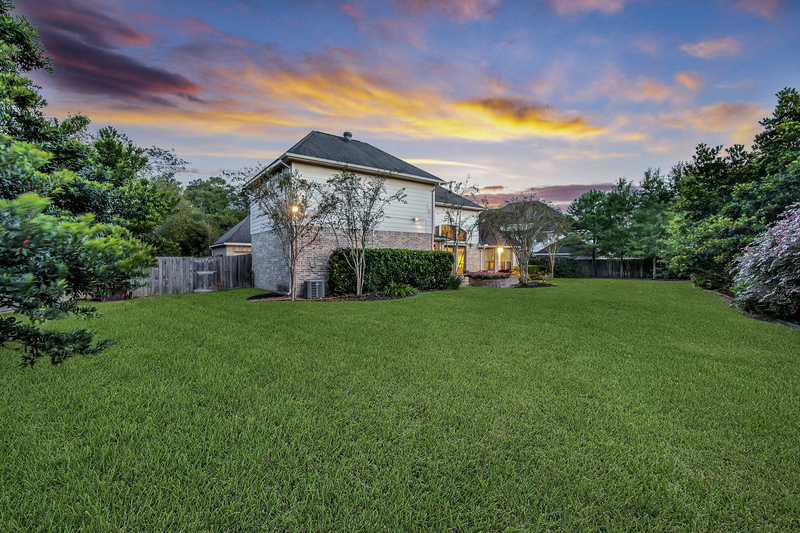 Located in a gated section of Harmony this beautiful home has tons of recent updates that make it special. Incredible floorpan with dramatic entry and soaring stone accent wall welcomes you as you walk in the door. 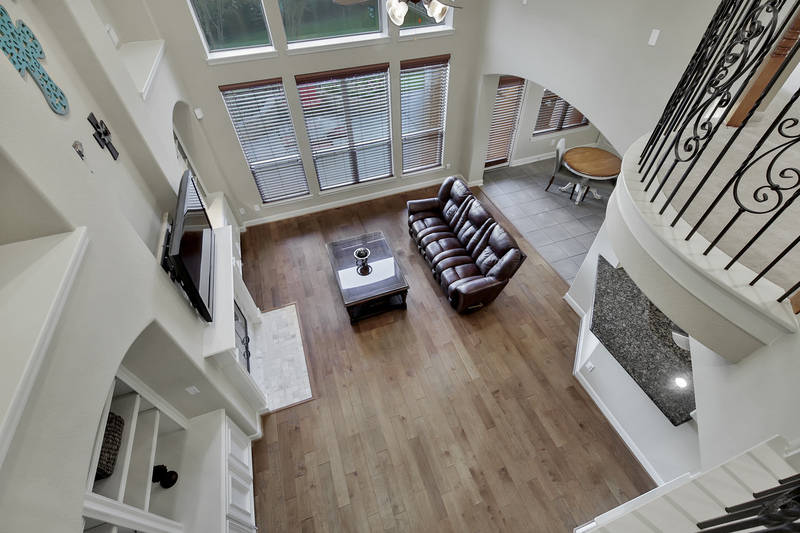 A fabulous floorpan easily lends itself to entertaining, or just relaxing at home. Master bedroom and study located on the first floor, the kitchen is a chefs delight boasting two huge islands and tons of cabinetry and stainless appliances. 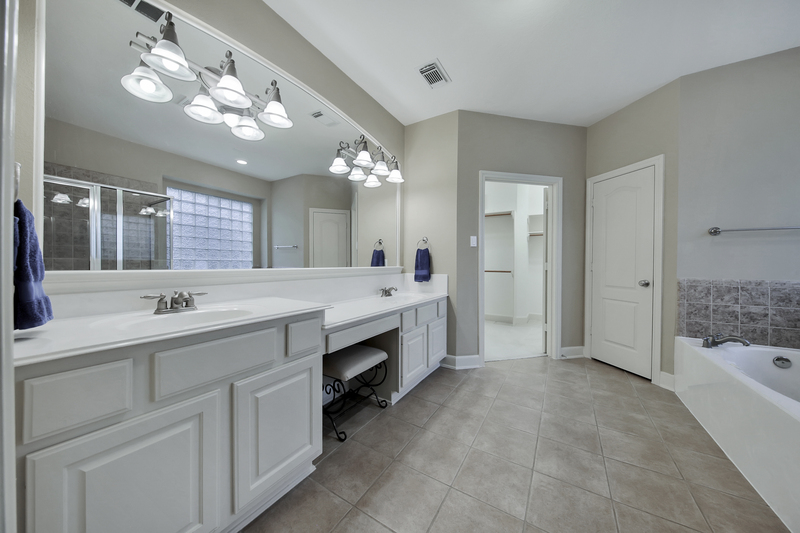 The owner has installed new wood tile flooring, gorgeous friese carpeting, designer paint, wood blinds, stone accents, gutters and a complete sprinkler system, bose speakers upstairs, and an incredible projection system which is negotiable. Lots of room for a private pool. No Flooding Here. Call today 281-989-6934! 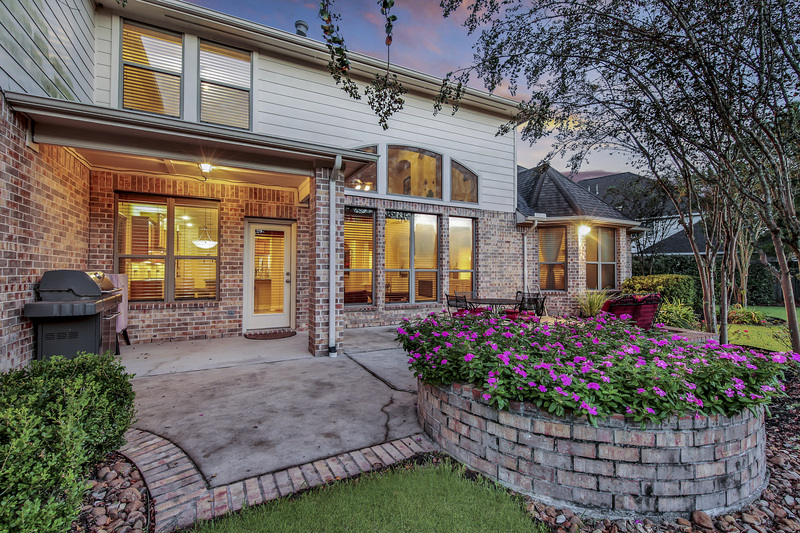 You don’t want to miss all that 31026 S Imperial Path Ln, Spring, TX 77386 has to offer.